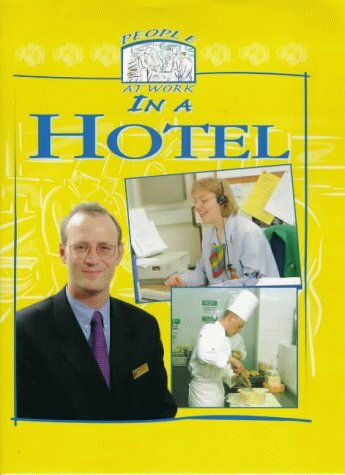 Synopsis: All aspects of work in a hotel are explored in this book which is one of a series on the world of work. Short magazine style interviews with individuals punctuate the text and provide a focus for literacy work. The book is illustatrated with "on location" photography which shows both the high profile and the less glamorous aspects of the work. It provides answers to questions such as "who is a sous chef? ", "What does a concierge do? ", "How many guests stay at the hotel every year?" and "How much does the hotel spend on lightbulbs each month?" The answers are given as the book follows the operations manager around the hotel on a busy day in the weekend.